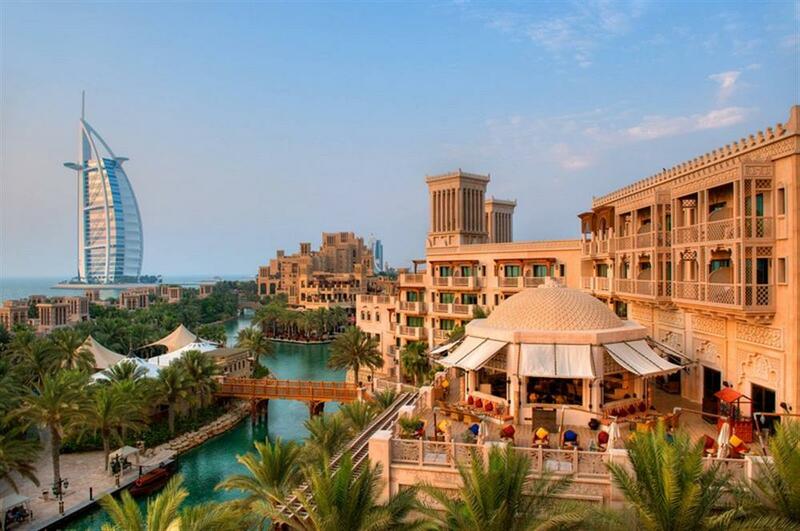 Madinat Jumeirah features two boutique hotels, Al Qasr and Mina A' Salam, 29 traditional summer houses in Dar Al Masyaf, 7 Malakiya Villas, and over 40 restaurants and bars. There is also a 1000-seat amphitheatre and the region's only dedicated entertainment centre and multi-purpose venue, Madinat Arena. The facilities are interconnected by 3 kilometres of waterways and landscaped gardens. 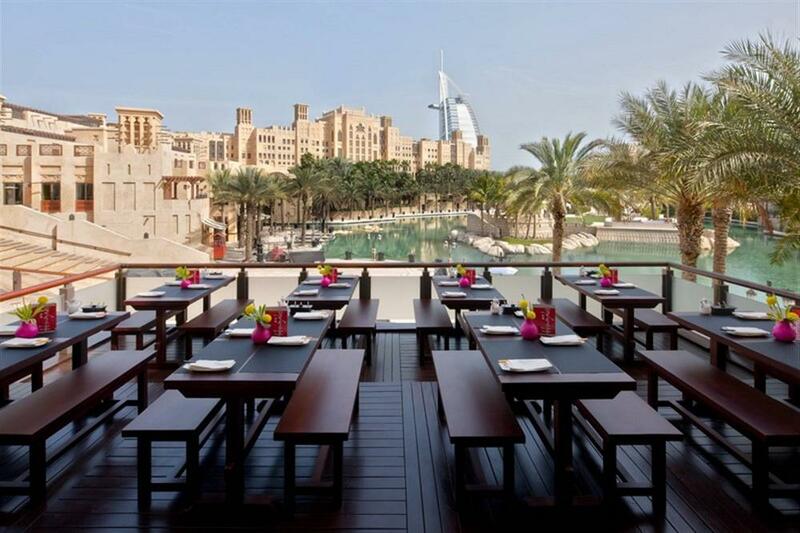 Mina A' Salam, meaning 'Harbour of Peace', is the hotel that forms the gateway to Madinat Jumeirah. It's the entry point from which numerous waterways and walkways thread their way to all corners of the resort. 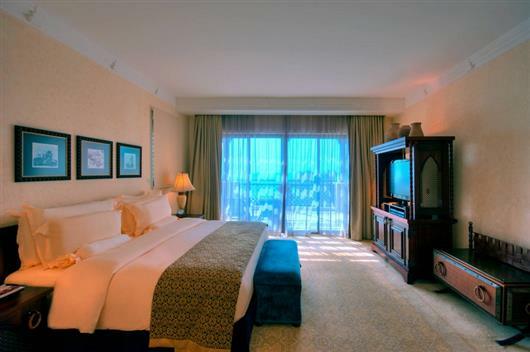 A sanctuary of Arabian warmth and generosity, Mina A' Salam makes a luxurious base for families, business travellers and groups. The spacious guest rooms are beautifully furnished with private balconies overlooking the sea. 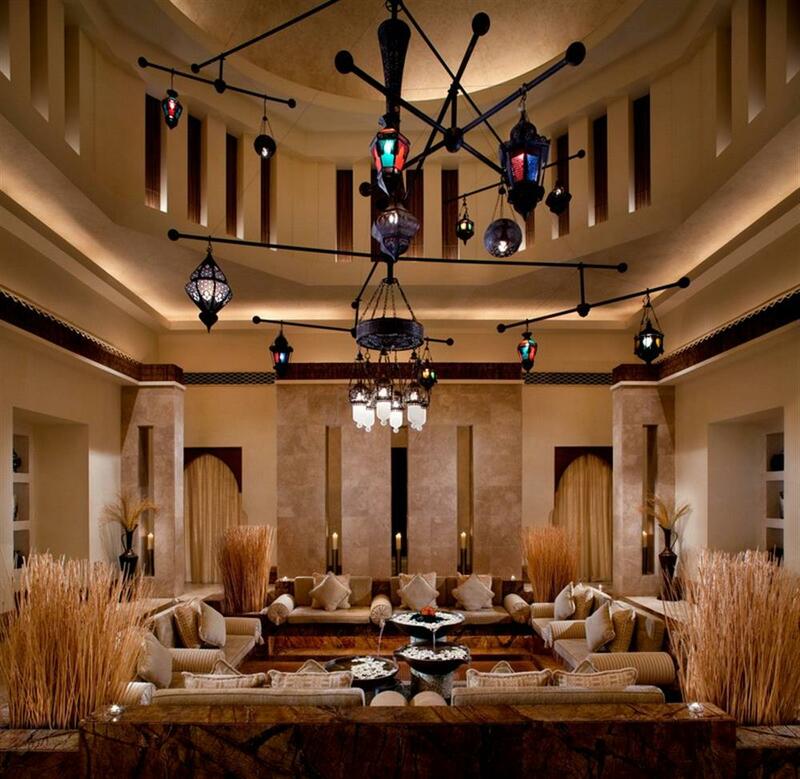 Designed in the style of a Sheikh's summer residence, Al Qasr hotel replicates traditional royal architecture, coupled with luxurious modernity throughout. The hotel is dedicated to relaxing, playing and the finer things in life. 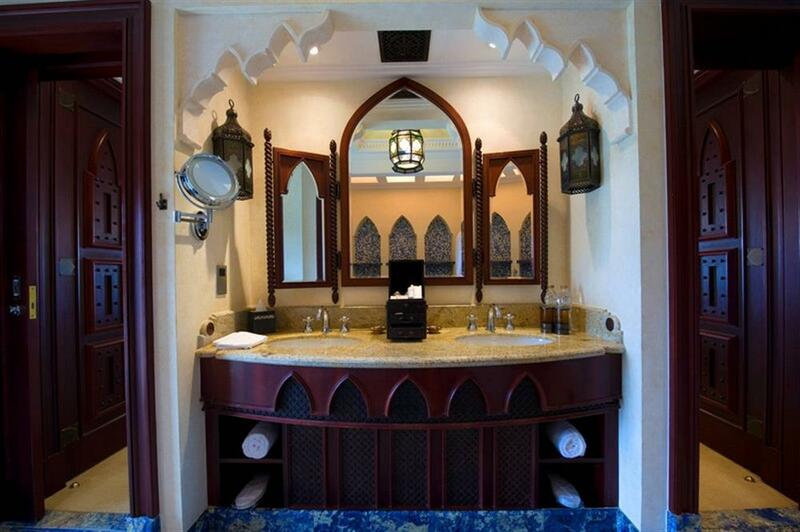 As part of the resort, Al Qasr offers all the facilities and activities of the wider resort. 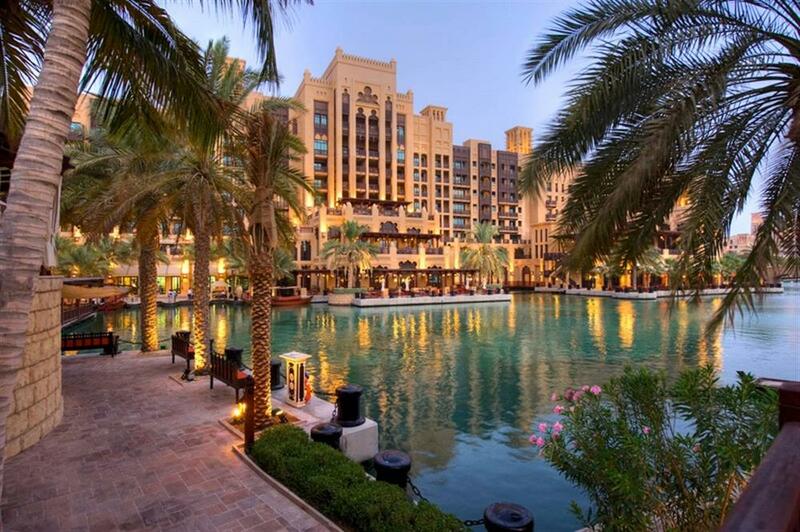 These include world-class restaurants, bars and cafes, Talise Spa and healthclub, a traditional souk housing scores of boutiques, shops and galleries. 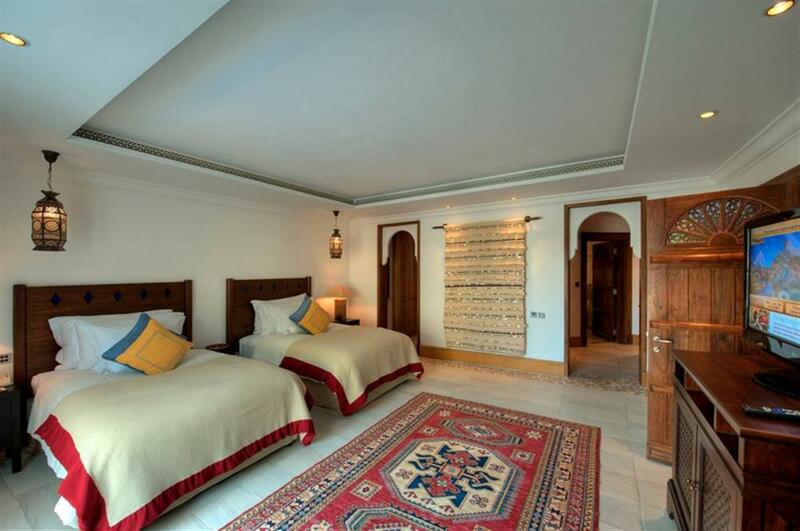 Dar Al Masyaf is inspired by the traditional courtyard summer houses of old Arabia. These standalone two-storey houses offer an exquisitely designed hideaway – the premium accommodation of the resort. Each house is the height of luxury, with beautifully appointed, light and spacious guest rooms and suites. The beach is easily accessible, as well as the many facilities of the resort. 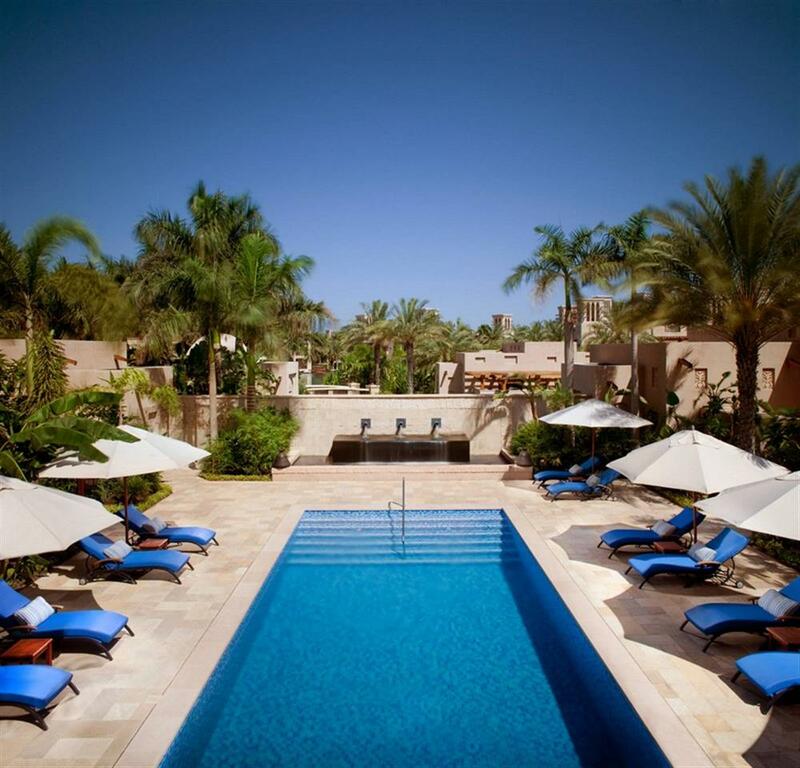 The resort's most luxurious accommodation is the Malakiya Villas. The villas offer spacious bedrooms, oversized marble-clad bathrooms, generous living spaces, fully furnished kitchens and private terraces overlooking the waterways and resort.